At IFA 2012 event, Huawei has announced a total of 6 new android handsets. One among them was Y100 an entry smart phone. In partner ship with Spice Models, Huaweif has launched this model in India. Spice has a huge network of retail stores named ‘Hotspot’ spread across major cities and towns. In metro cities like Chennai, Delhi, Mumbai, Kolkata, Bangalore and Hyderabad hotspot stores are located within 4 kms of range. 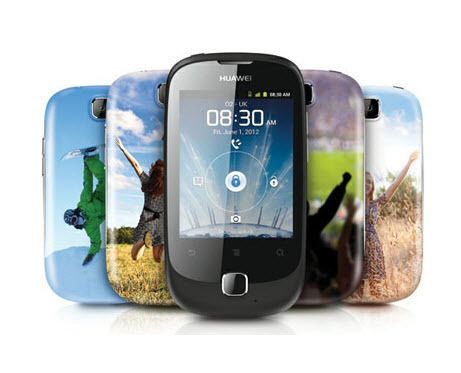 In the stores it will sold under the name S Huawei Ascend Y100 where S clearly means the Spice promotion. It includes the 2.8 inches TFT capacitive touchscreen display screen and provides the maximum resolution of 320 x 240 pixels good enough for the low cost smart phones. It is powered with 800 Mhz of Qualcomm Snapdragon MSM7225A processor with 256 MB of RAM which is just enough to power the device at enough pace but not for the multi task handlers. Further it includes the 512MB of RAM and has a micro SD card slot to expand the further storage using the micro SD card. It features 3.2 megapixel fixed focus camera on the back. It supports 3G connectivity along with Wi-Fi 802.11 b/g/n, Bluetooth 2.1 and GPS/aGPS. The phone will includes the 1050 mAh battery powering the device for the 300 hours of standby time and 300 minutes of talktime respectively. It will be powered with Android 2.3 Gingerbread OS and includes the 3.2 mega pixel camera or the rear side for taking photos and video recording capabilities. For internet there is 3G HSDPA connectivity option as well. You can share your incoming internet for free using the android default option of Wi Fi tether to other devices. It is right now available for purchase via the Saholic the online retailer priced at Rs.5990 in India. It is also available within a week period of time at Hotspot and other retail stores around your locality.